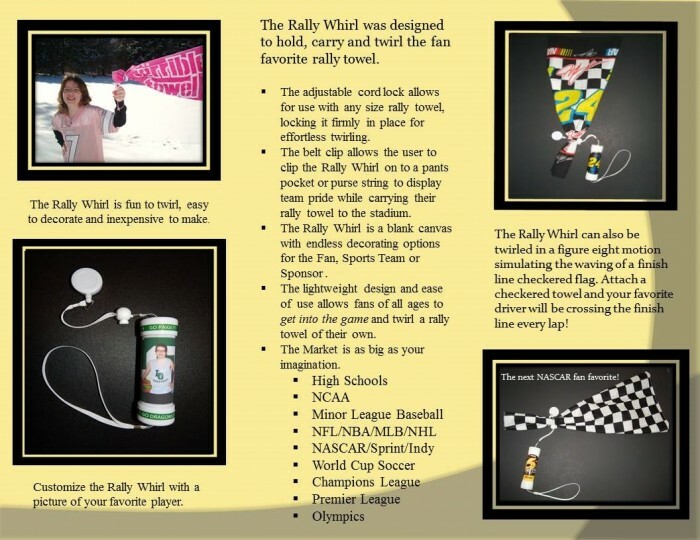 The Rally Whirl is a sports novelty product that capitalizes on the popularity of the sports fan favorite rally towel. The Rally Whirl was designed to hold, carry and twirl the fan favorite rally towel. 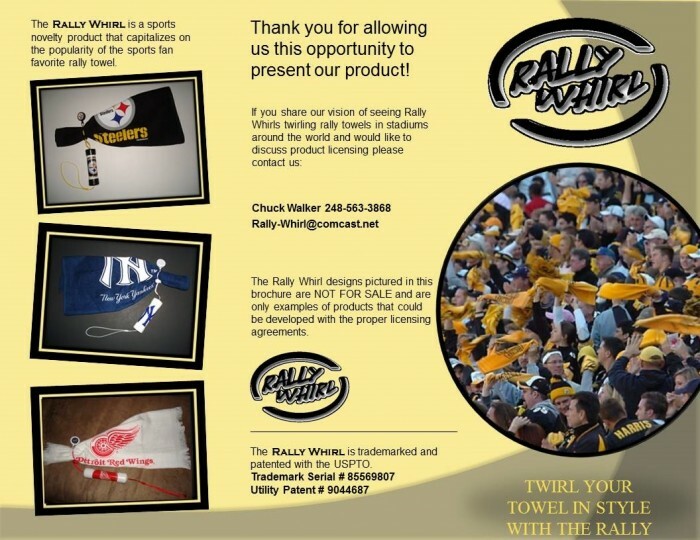 The Rally Whirl can easily be customized with player images, team logo's or Sponsor slogans creating a unique stadium item loved by fans. The Rally Whirl is fun to twirl, easy to decorate, inexpensive to make and could be marketed everywhere the popular fan rally towel is today. The Rally Whirl is trademarked and patented with the USPTO. 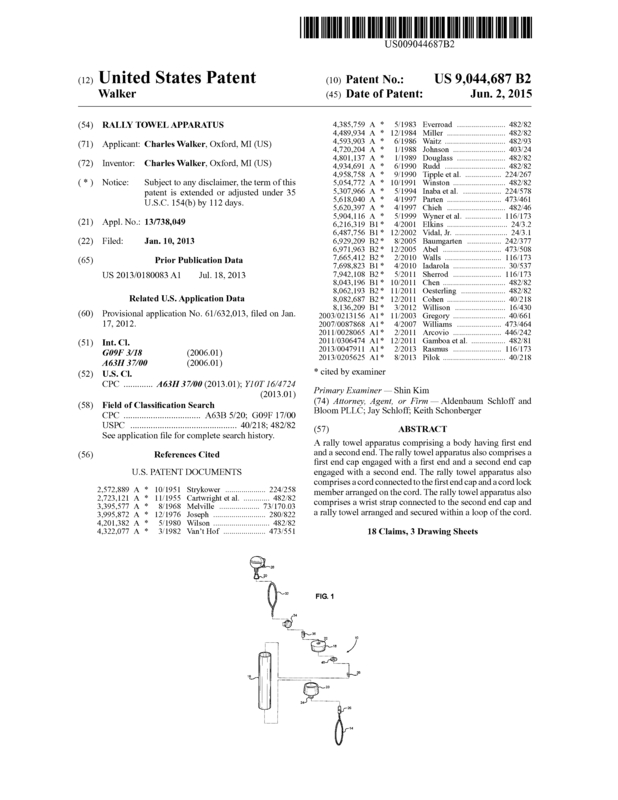 Page created at 2019-04-23 6:46:42, Patent Auction Time.